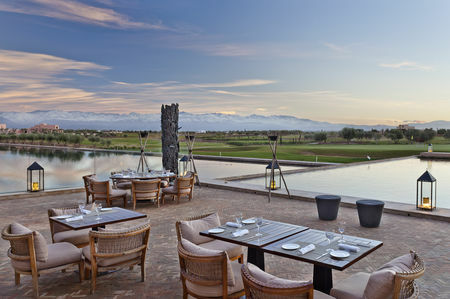 Al Maaden Golf is a Moroccan oasis with a touch of Scottish links golf. 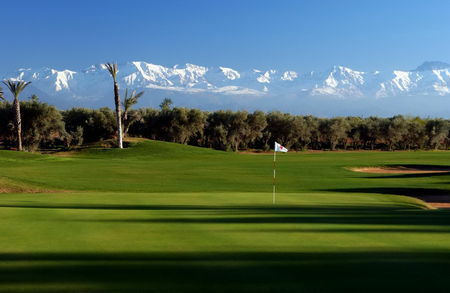 The golf course has been designed in grand rolling terrain, placed at the foot hills of the nearby Atlas Mountains. Strategically placed bunkers give players multiple lines of play from the tee and tightly cut spill off areas around the greens gather errant shots, providing a variety of exciting recovery opportunities. 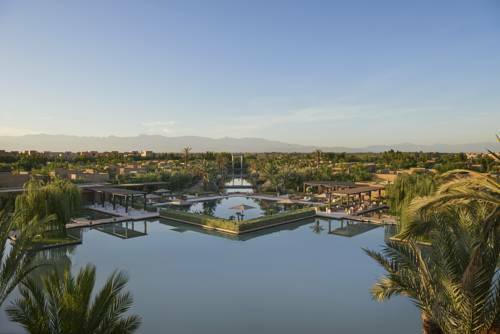 Keeping with the traditions of golf, AI Maaden is designed as a walker friendly course, with a surrounding designed landscape and geometric water features that give a feeling of playing through a Moroccan garden. Which is the signature hole? This is a true risk /reward finishing hole, where matches will be won with birdies and lost with bogeys…or even double bogeys. The tee shot plays over the large central lake on the left which creates a “Cape” hole type of diagonal carry, where one can bite off as much as they dare to shorten the approach to green on this long par 4. The fairway is separated by a series of low “pew” bunkers which clearly define the strategy of the hole from the tee. The second shot must carry a Scottish “Burn” like channel, which is located approximately 50m from the front edge of the green, which is guarded by bunkers and water on the right, but open in front, thus making a run-in approach shot an inviting option.  Which is the surface of the golf course? 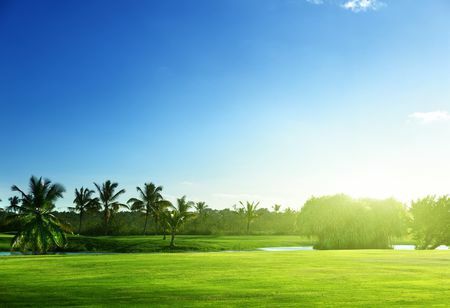 Al Maaden Golf course extends on a surface of 72 hectares. The grassed area occupies 47 hectares with the remaining being wheat-fields and plantations. Which varieties of turf have been seeded? The greens are in Bent A4/T1, the collars and tee-boxes in Bent Penncross and the fairways in Bermuda Tifway 419 which gets overseeded with Ryegrass for the colder winter season. What type of vegetation can be found on the golf course? There is a vast variety of typical Moroccan plantations on the course: Olive trees, lemon trees, almond trees, palm trees, orange trees, pistachio trees and cypress trees amongst others. Which is the current course record? The course record is at 64 strokes, set by Irish Professional Stephen Grant on February 22nd 2010 during the Atlas Pro Tour that was organized in cooperation with one of the European Satellite Tours (EPD-Tour). Which is the philosophy of Al Maaden Golf? 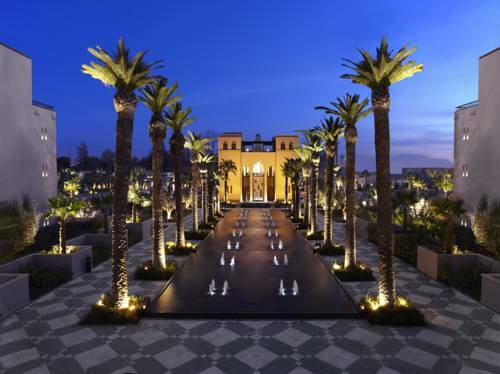 The marriage of an authentic, modern Moroccan environment with a world class golf course of outstanding design and quality. The two are complemented with a wide range of amenities supported by a high level of customer service. 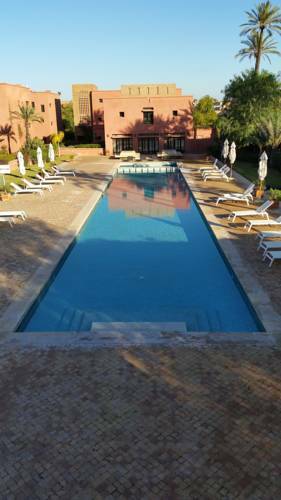 Not to forget our clubhouse with its relaxing and inspiring atmosphere and splendid patios overlooking the mighty Atlas Mountains. Great golf course that has been around for a while and always in great shape. They just redid the bunkers and they have great water features. One of my favorites in Marrakech. Good golf course. Some of the best holes in Marrakech in my opinion... Too bad the real estate project isn't working and there are a lot of unfinished riads on the side of the fairway. Could be as it used to be one of the leading golf courses in Marrakech. They only need to finish the houses and clean the surroundings. As we say in french "a bon entendeur". 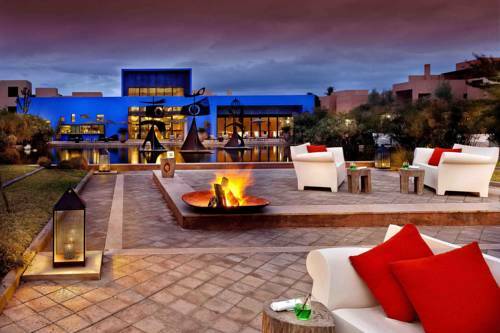 One of the nicest clubhouse in Marrakech.